The Spirit Trail Ocean Home development is the first of its kind in Canada. 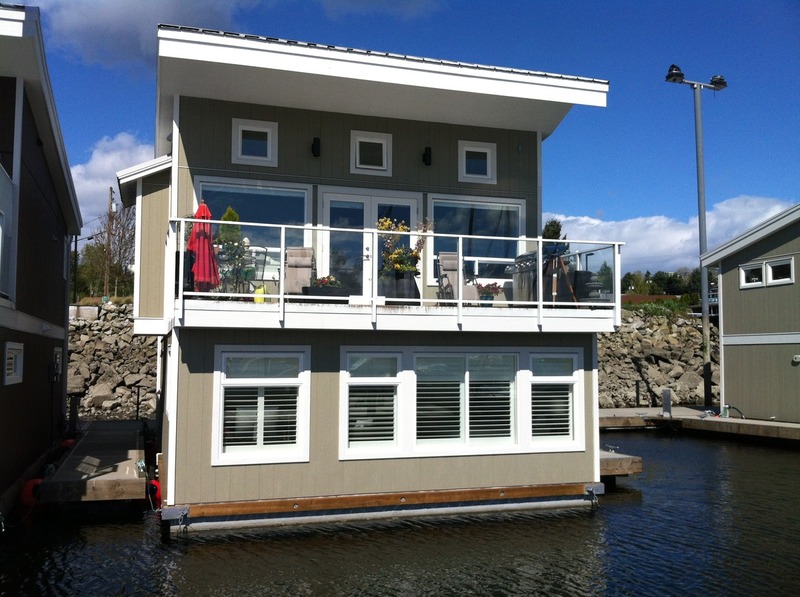 This small community of 20 luxury float homes offers the best in Westcoast waterfront living. Located at the Mosquito Creek Marina, these beautiful two level homes offer state of the art construction, spectacular panoramic views of the water and the Vancouver city skyline all in a serene and picturesque setting. Residents can walk in 7-10 minutes along the Spirit Trail to the Lonsdale Quay where there is shopping, access to the Seabus to downtown Vancouver and from there the Canada line to the airport. Close by there is Starbucks, an IGA grocery store, a movie theatre, an LCBO store and a multitude of restaurants and shops to compliment this carefree life-style on the water. The community enjoys a double wide heated concrete dock that provides both a promenade for dockside strolls in the summer and no slip walking in the winter. This gated community offers helpful onsite security staff and controlled dock access to insure the safety and security of the residents and their guests. Spirit Trail Ocean Homes have been designed and built to the highest construction standards employing the best state of the art concrete floatation technology, 2 x 6 wood frame construction, R22 insulation and long lasting metal roofs to maximize the enjoyment and endure the challenges, of our unique West Coast seaside environment. The homes feature gas furnaces, stainless steel star energy appliances, silestone counter tops, vaulted ceilings, and spacious decks where you can barbeque and enjoy the 8-10 hours of sunshine in the summer months. waterfront lifestyle, call Doug Taylor at 604-728-2601.